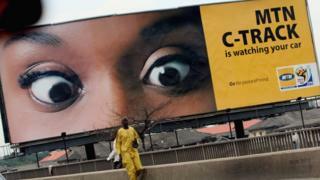 MTN, Africa’s largest mobile phone company, might be forgiven for feeling picked on in Nigeria. 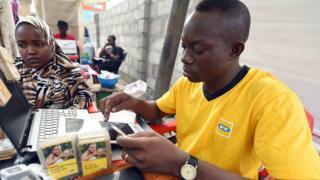 In 2015, it was fined more than $5bn (£3.85bn) by the Nigerian authorities for failing to cut off unregistered Sim cards – a figure that was reduced to $1.7bn after a long legal dispute and the intervention of South Africa’s then President Jacob Zuma. More recently, Nigeria’s Central Bank ordered the South African company to repatriate $8bn it said had been taken out of the country illegally. And now MTN has been slapped with a $2bn bill to cover a decade’s worth of allegedly unpaid taxes. The company says it has settled the bill with a $700m payment and that Nigeria made errors with its calculations. Shares have plunged to a near 10-year low, but MTN insists it is committed to being in the country, which is, after all, its largest market on the continent. If the company fails in its challenge to the tax bill it will have to come up with billions of dollars, a tall order given that its profits last year amounted to $370m. The timing of the fines could not be worse for Nigeria’s image, hit by political uncertainty six months ahead of elections and amid doubts over the independence of its central bank. Experts now fear the move could reflect badly on the country’s attractiveness as an investment destination and wonder why these decade-long regulatory breaches were not brought up sooner with MTN. Femi Oladehin, a partner at Nigerian Investment firm, Argentil Capital Partners, suggested that Nigeria could be using the phone company as an easy way to make money. “The challenge is that MTN is a sitting duck and there’s the perception that it can afford the fines,” he told the BBC. Others think there is a mix of both political and corporate negligence. “I’m not sure that it’s as political as MTN seems to be portraying,” said Kayode Akindele, a partner at Nigerian investment firm, TIA Capital. MTN has also been accused of corporate malpractice elsewhere in Africa. In 2017, it was fined $8.5m by Rwandan authorities for non-compliance with license regulations and in 2015, a Ugandan court ordered MTN to pay $600,000 for anti-competitive behaviour. MTN agreed to pay the Rwandan fine, but challenged the Ugandan court order. 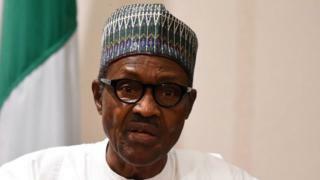 If Nigeria’s allegations hold up, it could count as a victory for the country’s President Muhammadu Buhari, who came to power on promises of tougher regulations and the end of endemic corruption. MTN boss Rob Shuter said that the company was still committed to Nigeria despite the controversy. This is not surprising, given that it has about 66 million subscribers in the country – compared to 30 million in its home market, South Africa. The phone giant isn’t the only telecommunications firm in Nigeria to have been hit with fines: MTN, Airtel, and locally owned Globacom were fined a combined $4m for providing poor service in 2014. But no other company in the sector has been asked to pas as much as MTN. Before the allegations were made, MTN said it would list on Nigeria’s Stock Exchange before the end of this year. It now looks like the listing will be delayed. Do South African companies have a problem in Nigeria? It is starting to looks as though regulators are making it difficult for South African companies to thrive in Nigeria. Africa’s two largest economies have a long-standing rivalry for continental supremacy. South African-owned satellite company, Multichoice, was embroiled in a tussle with Nigerian regulators in August when it was prevented from raising prices for its television service. While earlier this week, hotelier Sun International cited weak economic growth and clashes with regulators when it announced it was pulling out of Nigeria. Fellow South African companies Woolworths and Tiger Brands also quit Nigeria, in 2014 and 2015 respectively. Reactions to Nigeria’s actions have been mixed. Some see it as a sign of Nigeria’s increased scrutiny of the private sector and a resolve to to make all investors, big and small, comply with its laws. “Nigeria’s crackdown on MTN could signal that the country isn’t interested in just foreign direct investment – it must be the right kind of investment,” Mr Akindele said. But in spite of being a place of enormous opportunity for investors, experts say Nigeria remains a difficult country to operate in. “While it’s always great to see the regulators at work, it is creating a perception that Nigeria may be unfavourable for foreign investment,” said Nigerian economist Tunji Andrews. He pointed out that MTN was “Nigeria’s biggest non-oil investor and contributor to Nigeria’s GDP”.